Looking around for website designs can be a headache. There are thousands of companies that offer such a service. The problem that you will run into, is that everyone’s pricing is different. Companies will offer $200 for a custom web design and some will offer $1,000. 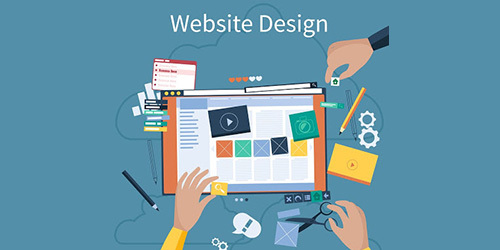 When looking into a web design company for your website, see what is included in their package. Some companies will just do only the design, usually sending you a Photoshop file. There could be a chance they give you the design and the website coded. Ready to be upload through FTP. This is mostly only for small static sites that have 10 or less pages. Last most common option is a design, coded website for a CMS system. This is for you to upload and install on one your specific content management system. There could be a chance that they will host your website for you. Web hosting and domain names are other charges that are required for your website to go live on the internet. Let’s look at the different elements that go into a website. Such as domain name, hosting, design, coding, and content management system. A domain name is your .com, .net, or .org. A server for your website to run on. Shared hosting is the most affordable options to get a basic website up and running. Graphic designers can create logo, images, and icons for your website. Depending on how many you need will determine the price of the package. This could be a template they have ready to go or full custom work. CSS Templates can be purchased without going through a design company. Custom work is always exponentially more expensive. Companies will code your design in HTML and CSS. For an additional cost, they can make it responsive for mobile devices and SEO ready. Either direction you go, coding can cost you by the hour. I would only accept search engine optimized code with pure CSS. First see what platform your coding team are comfortable on. Adding a CMS could be included in their baseline scope or it could be an additional charge. The most popular CMS systems are WordPress, Drupal, and Magento. Choosing one of these can keep your costs down as their time won't be wasted learning a new system. If you need content created for your website or blog. Writers usually cost on a per hour basis. Depending on how technical the writing is will determine your cost per hour. An e-commerce store is a lot of work. From custom designs, importing products, credit card and shipping configurations. It takes a lot of time and development. Projects like this are usually a flat fee. There are places like Upwork that you could outsource each of these different areas. You can post the job and different people bid on how much they will do it for. You can find some decent people to do great work and good prices. Just do your homework on the person that is bidding on your project. Check his reviews and responses from other jobs. If you choose to go this route, you can usually save 20% - 50% on the project. All of these are just ballpark estimates of what’s around the internet at this time. Now you have an idea of what some of the different packages could cost you individually. If you find a web design company that offers these things in their standard price, you may have found a legit deal. Best advice I can give you is to shop around. Check with multiple places and compare prices. It may be beneficial to spread it out between different companies. Odesk & elance is surely one of the best plateform for freelancers..Very good article. I've seen the huge differences between packages of custom designs that are offered by the various designing websites and your target on them has provided me with a lot of knowledge on how to trigger these packages on website. Yes, Surely sometimes website offer hosting and coding services in the package but we must look what we are given in the package thoroughly, so that we don;t get conned.